Closed Published by Dr. Beyster July 9th, 2014 in Employee Ownership, SAIC, The Book. 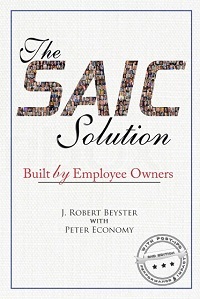 I am pleased to announce the formal release of our new book, The SAIC Solution: Built by Employee Owners. 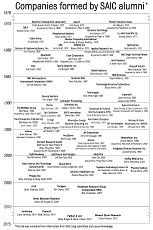 As most of you know, in 1969 I founded a technology company with a small group of fellow scientists and engineers. This company, Science Applications International Corporation (SAIC), grew into the largest employee-owned research and engineering firm in the United States with annual revenue of more than $11 billion by 2013. In this book, I explore the unique principles that made SAIC great, including putting people first, making employees owners, pushing decision making throughout the organization, experimenting constantly, and more. You will also hear the story of my own entrepreneurial journey of discovery and personal growth. This story is supplemented with the stories of many of the key men and women in SAIC’s history, who were interviewed specifically for this book. With the second edition of The SAIC Solution, I also tell the story of shortcomings in succession planning and governance that led to my retirement in 2004. Within eighteen months, SAIC held an initial public offering (IPO) and subsequently dismantled its powerful employee-ownership culture. The result was reduced shareholder value, and the eventual split of SAIC into two companies, Leidos and SAIC. 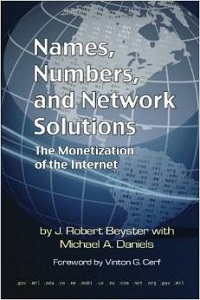 Visit the book site for more information on the book (including a video), or purchase a copy on Amazon.com.